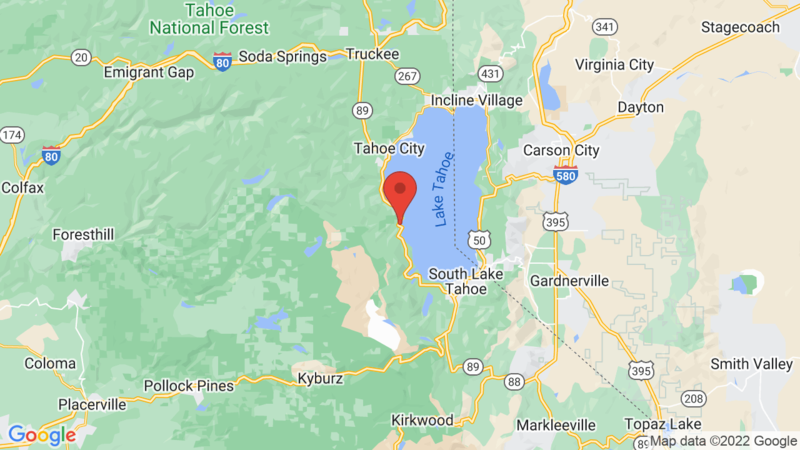 Meeks Bay Campground has 40 campsites and is just a few hundred feet from the shores of Lake Tahoe and open from mid-May to mid-October. 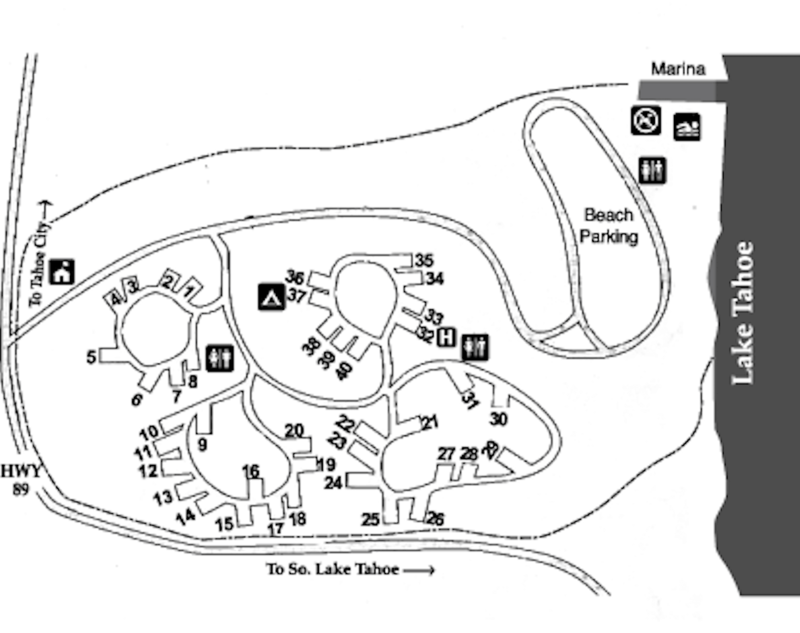 The campground is on the west shore of Lake Tahoe and is mostly flat with paved roads and parking pad. The campsites also have good shade from the ponderosa pines that tower above. Sites can accommodate tents, trailers & RVs (up to 20 feet long). Some of the sites also have views of the lake. Amenities include drinking water, flush toilets, showers a picnic area, marina and bike rentals. Firewood is also available for sale from the camp host. There are no hookups here. Each campsite also has a table, food storage locker, fire ring and grate. Loop 1 has sites 1-8. 1-6 are small. 7-8 is a double with one of the hosts. Loop 2 has sites 9-20. Double sites are 10-11, 13-14, 17-18, 19-20. Loop 3 has sites 21-31. Double sites are 22-23, 27-28. Loop 4 has sites 32-40. Double sties are 32-33 (host), 34-35, 36-37, 38-40 (triple). Meeks Bay is uniquely situated between the two California State Parks of Sugar Point Park and D.L. Bliss State Park. There is also easy access into Desolation Wilderness for excellent hiking. Outdoor recreation abounds including boating, kayaking, canoeing, fishing, hiking, biking, horseback riding, picnicking, sunbathing, swimming, beach combing and OHV riding. Winter sports are also popular and include downhill skiing, cross-country skiing, snowboarding, snowmobiling and snowman building. Visted Meeks Bay Campground lately? We'd love to hear about your adventure. Did you find us useful? Did we forget something? Anything our community should know before heading out to Meeks Bay?